did the "Lord's servants" finally understand the resulting back stab? can you see the bars of your cage? THE NEW PLANETARY SITUATION REVIEW - FROM 20.000 B.C. UNTIL TODAY. Moon is a gigantic ex-physical-planetary body converted (terraformed) into a hybrid hollowed space semi-artificial body capable of travelling into interstellar space. Moon origins is the constellations of Draco and Boötes a coalition Draconian rebellious constellation. Moon is governed by a race of Reptilians from the Draco constellation. The reptilians are dominating the Moon with extremely high technology and beings in two parallel space dimensions separated by light barriers (c, and c*10^6). Our current 1st visible Dimension of matter rarification (3rd Real) and the 2nd Dimension (4th Real) invisible to our sensors. The 2nd Dimensions of Reptilian Beings rules the 1st and can see all that happens in the 1st. The 1st cannot directly see what happens in the 2nd but has technological capability to communicate with the 2nd. The Reptilians are a mutineers spacebandits faction which acts as a cancer against the Universal Organism. They made a rebellion million years ago against the Galactic Order and the Galactic Government - Federation. They wander around the Universe stealing planetary raw - valuable materials, by using the original planetary settlers as slaves aka:"Lord's servants" who bring out the raw materials to the surface. After that, they steal them, genocide the settlers, destroy the planets and leave for another solar system in order to repeat the mega-crimes and spread the cancer. They create religions and after that masonic-matrix-mind-control NWO pyramidal beehive systems in order to manipulate the "Lord's servants". In case the system is occupied by populations that are faithful to the galactic government (aka, the white andromedian race) they usually create through genetic engineering serpent DNA hybrid humans that look like the Draconian Chinese that live today in our planet. Then they use the Draconian Chinese serpent-saurian looking hybrids in order to assimilate and essentially genocide and overrun the enemy unfaithful to them population. Moon came to our solar system around 20.000 B.C. when there was a legal Andromedian Government in our system, the Uranides or Varuna Dynasty (See: Hindu Scripts). Uranides means "People that came from the Sky" = Skylings. The Uranides rulers dynasty consists mainly of Zeus (Diaus Pitar in Sanskrit) and Saturn-Cronus factions. By the time moon entered in our solar system there was already a civil space war between Zeus-Cronus (See ancient Hellenic myths, Hesiods' theogony, Titans clash etc). Zeus made a temporary win against the mutineer Cronus-Saturn-Savaoth and closed the rebelious Cronians to prison-like places, like the Underground Tartars. Moon at this time (20.000 B.C.) made a first attempt to enter Earth's orbit, that failed. It made a collision course towards Earth which was intercepted by the Andromedians Uranides. The Reptilians Draconian Moon having as high commanders: Asmodai Metatron and El Shaddai (See: Bible) or Sendai - Jendai (See: Star Wars) - or Judas, asked from Zeus permission to disembark its populations to Earth. Hospitable Zeus who was outnumbered and not at this time fully aware of the aggressive-piratical intentions of the moon, allowed them to do so, under the terms of keeping population analogy 1:108 and keeping the then present cultural trend and language of the planet (archetype Hellenic). The Reptilians from the Moon then disembarked to Atlantis the first Chinese hybrid settlers capable of living in Earth and genetically designed to withstand against attacks from earthborn viruses. The Chinese under the commands of the first Serpent Priesthoods under the guidance of the Moon quickly degenarated and turned the Whites Pelasgians Hellenes of Atlantis to a civil world war against their racial brothers Pelasgians of Europe and the Prehistoric Athenian Empire. (See: Plato Timaeus - Critias). In this catastrophic global civil war were used nuclear weapons of the era of special effect, and meteorological weapons which were discribed in the ancient Hindu texts of Vedas & Mahabarata. The White Atlanteans instigated by the Chinese of Atlantis (See books of Raymond Drake) successfully invaded Europe, but the Athenians managed to overrun them and were ready to drop them back into the Atlantic Ocean with a massive counter-attack. Metatron El Sendai Jendai Reptilians overlords were now terrified because the Athenians under the guidance of Zeus were now ready to massively counterattack and completely eliminate the Chinese of Atlantis with the charge of the devious enorchestrating of the Pelasgian civil global war. And thus along with the terran global war a parallel space war begun between Moon(Selene) and Zeus HQ's. Moon then used its gravital canons to put gravitational pressure on the lithospheric plaques of Earth and managed to sink both Atlantis and a little later sunk and Aegis (today Mediterranean and Aegean Seas) and put to death in the depths of the sea millions of white race Atlanteans and Athenians. The Pelasgian high technology golden age Natural Harmony Civilization quickly converted back to "stone-age"
b) The flagship Lilith (dark glossy Metallic War-planet) which around 9.600 B.C at the time of the sinking of Atlantis & Aegis was moved and stationed behind the Moon at a selenosynchronous orbit. Zeus ships in order to avoid a general Earth's catastrophe due to the space war, essentially tactically withdrawed 1/3rd to the 4 external planets (Saturn-Uranus-Neptune-Pluto), 1/3rd to the Inner Earth cavity (from the North Pole opening), and the rest 1/3rd escaped from our solar system in order to notify the local Galactic Government in Andromeda Constellation about the crimes and the invasion of the Reptilian Moon, and ask for reinforcements. “SAMA TEE SEEMON APIXEEI ES SIMON PLANETA OLEXOMEN OLETEERAS SINAS DIASTRIKOUS TE DAINOUS EXASTRITHENTAS EX ASTERON DRAKONTOS KAI XIMMAHOUS SINON YF’ EEGETAN SION – SENTIOU”. “DURING THE ARRIVAL TO YOUR PLANET WE WILL ELIMINATE THE ANNIHILATORS INTERSTELLAR AND TERRESTRIAL CHINESE AND THE ALLIES OF THE CHINESE UNDER THEIR LEADER SION – SEDI”. Thankyou T. Reading this over a few times... I just said 'OK'. Ironically, I have been watching the (recent) Battlestar Galactica series, which draws much from ancient myths to create the storyline. This flows in the same manner, and connects many disparate ideas. Also interesting is the connect with the moon, which is something we talked about at length in ChaniChat yesterday. The purpose of it is nicely explained in your notes, especially the ability to create gravity wells that can effect large parts of the planet as a weapon of sorts. I'll need to digest all this some more, but basically saying the CHIN are bluffing then? - with regard matters Bezerk. The Dragon can be mastered. OK, for starters, we'll try the Special Appetizer Plate w/vegetarian Egg Rolls. Then we'll split an order of Lemon Chicken and Mongolian Beef. We'll go with the Crispy Noodles, please, and extra Rice. Also, more tea please, when you get a chance! T ... could what you have told us, in any way, have any connection with Stu's double exposure Saturn picture from 1983? Bellow is an article of the above mentioned two Russian Academics VASIN and SHCHERBAKOV, published in the soviet journal "SPUTNIK" and concerning the hybrid semi-artificial nature of the Moon “hypothesis”. This is an old article. Indeed the Soviet scientists either officially or in unofficial circles, had for a long time suspicions about an artificial or semi-artificial nature of the Earth’s satellite. The Americans had also their problems. Just consider this. Why the American lunar manned missions stopped so abruptly in 1972 and ceased to exist for 4 decades up to nowadays? Seems the Dragonian Lizards don’t want any…aliens landing on their damn titanium ship without prior permission. IS THE MOON THE CREATION OF INTELLIGENCE? Although people long ago began to wonder whether the "canals" on Mars were the creation of cosmic engineers, for some odd reason it has not occurred to look with the same eyes upon the peculiarities of the lunar landscape much closer at hand. And all the arguments about the possibilities of intelligent life existing on other celestial bodies have been confined to the idea that other civilisations must necessarily live on the surface of a planet, and that the interior as a habitat is out of the question. Abandoning the traditional paths of "common sense", we have plunged into what may at first sight seem to be unbridled and irresponsible fantasy. But the more minutely we go into all the information gathered by man about the Moon, the more we are convinced that there is not a single fact to rule out our supposition. Not only that, but many things so far considered to be lunar enigmas are explainable in the light of this new hypothesis. AN ARTIFICIAL SPUTNIK OF THE EARTH? The origin of the Moon is one of the most complicated problems of cosmogony. So far there have been basically three hypotheses under discussion. HYPOTHESIS I. The Moon was once a part of the Earth and broke away from it. This has now been refuted by the evidence. HYPOTHESIS II. The Moon was formed independently from the same cloud of dust and gas as the Earth, and immediately became the Earth's natural satellite. But then why is there such a big difference between the specific gravity of the Moon (3.33 grammes per cubic centimetre) and that of the Earth (5.5 gr.)? Furthermore, according to the latest information (analysis of samples brought back by the U.S. Apollo astronauts) lunar rock is not of the same composition as the Earth's. HYPOTHESIS III. The Moon came into being separately, and, moreover, far from the Earth (perhaps even outside the Solar system). This would mean that the moon would not have to be fashioned from the same "clay" as our own planet. Sailing through the Universe, the Moon came into Earth's proximity, and by a complex interplay of forces of gravity was brought within a geocentric orbit, very close to circular. But a catch of this kind is virtually impossible. In fact, scientists studying the origin of the Universe today have no acceptable theory to explain how the Earth-Moon system came into being. The Moon is an artificial Earth satellite put into orbit around the Earth by some intelligent beings unknown to ourselves. If you are going to launch an artificial sputnik, then it is advisable to make it hollow. At the same time it would be naive to imagine that anyone capable of such a tremendous space project would be satisfied simply with some kind of giant empty trunk hurled into a near-Earth trajectory. It is more likely that what we have here is a very ancient spaceship, the interior of which was filled with fuel for the engines, materials and appliances for repair work, navigation, instruments, observation equipment and all manner of machinery... in other words, everything necessary to enable this "caravelle of the Universe" to serve as a kind of Noah's Ark of intelligence, perhaps even as the home of a whole civilisation envisaging a prolonged (thousands of millions of years) existence and long wanderings through space (thousands of millions of miles). Naturally, the hull of such a spaceship must be super-tough in order to stand up to the blows of meteorites and sharp fluctuations between extreme heat and extreme cold. Probably the shell is a double-layered affair--the basis a dense armouring of about 20 miles in thickness, and outside it some kind of more loosely packed covering (a thinner layer--averaging about three miles). In certain areas--where the lunar "seas" and "craters" are, the upper layer is quite thin, in some cases, non-existent. Since the Moon's diameter is 2,162 miles, then looked at from our point of view it is a thin-walled sphere. And, understandably, not an empty one. There could be all kinds of materials and equipment on its inner surface. But the greatest proportion of the lunar mass is concentrated in the central part of the sphere, in its core, which has a diameter of 2,062 miles. Thus the distance between the kernel and the shell of this nut is in the region of 30 miles. This space was doubtless filled with gases required for breathing, and for technological and other purposes. With such an internal structure the Moon could have an average specific gravity of 3.3 grammes per cubic centimetre, which differs considerably from that of Earth (5.5 grammes per cubic centimetre). A BATTLESHIP THEY COULDN'T TORPEDO? The most numerous and interesting of the formations on the lunar surface are the craters. In diameter they vary considerably. Some are less that a yard across, while others are more than 120 miles (the biggest has a diameter of 148 miles). How does the Moon come to be so pockmarked? There are two hypothesis--volcanic and meteoric. Most scientists vote for the latter. Kirill Stanyukovich, a Soviet physicist, has written a whole series of works since 1937 in which he expounds the idea that the craters are the result of bombardment of the Moon for millions of years. And he really means bombardment, for even the smallest celestial body, when it is involved in one of those fastest head-on collisions so common in the cosmos behaves itself like a warhead charged with dynamite, or even an atomic warhead at times. Instant combustion takes place on impact, turning it into a dense cloud of incandescent gas, into plasma, and there is a very definite explosion. According to Professor Stanykovich, a "missile" of a sizable character (say 6 miles in diameter) must, on collision with the Moon, penetrate to a depth equal to 4 or 5 times its own diameter (24-30 miles). The surprising thing is that however big the meteorites may have been which have fallen on the Moon (some have been more than 60 miles in diameter), and however fast they must have been travelling (in some cases the combined speed was as much as 38 miles per second), the craters they have left behind are for some odd reason all about the same depth, 1.2-2 miles, although they vary tremendously in diameter. Take that 148-mile diameter crater. In area it outdoes Hiroshima hundreds of times over. What a powerful explosion it must have been to send millions of tons of lunar rock fountaining over tens of miles! On the face of it, one would expect to find a very deep crater here, but nothing of the sort: there is three miles at the most between top and bottom levels, and one third of that is accounted for by the wall of rock thrown up around the crater like a toothed crown. For such a big hole, it is too shallow. Furthermore, the bottom of the crater is convex, following the curve of the lunar surface. If you were to stand in the middle of the crater you would not even be able to see the soaring edge-- it would be beyond the horizon. A hollow that is more like a hill is a rather strange affair, perhaps. Not really, if one assumes that when the meteorite strikes the outer covering of the moon, this plays the role of a buffer and the foreign body finds itself up against an impenetrable spherical barrier. Only slightly denting the 20-mile layer of armour plating, the explosion flings bits of its "coating" far and wide. Bearing in mind that the Moon's defence coating is, according to our calculations, 2.5 miles thick, one sees that this is approximately the maximum depth of the craters. A SPACESHIP COME TO GRIEF? Now let us consider the chemical peculiarities of the lunar rock. Upon analysis, American scientists have found chromium, titanium and zirconium in it. These are all metals with refractory, mechanically strong and anti-corrosive properties. A combination of them all would have envitable resistance to heat and the ability to stand up to means of aggression, and could be used on Earth for linings for electrical furnaces. If a material had to be devised to protect a giant artificial satellite from the unfavourable effects of temperature, from cosmic radiation and meteorite bombardment, the experts would probably have hit on precisely these metals. In that case it is not clear why lunar rock is such an extraordinarily poor heat conductor--a factor which so amazed the astronauts? Wasn't that what the designers of the super-sputnik of the Earth were after? From the engineers point of view, this spaceship of ages long past which we call the Moon is superbly constructed. There may be a good reason for its extreme longevity. It is even possible that it predates our own planet. At any rate, some pieces of lunar rock have proved older than the oldest on Earth, although it is true, this applies to the age of the materials and not of the structure for which they were used. And from the number of craters on its surface, the Moon itself is no chicken. It is, of course, difficult to say when it began to shine in the sky above the Earth, but on the basis of some preliminary estimates one might hazard a guess that it was around two thousand million years ago. We do not, of course, imagine that the moon is still inhabited, and probably many of its automatic devices have stopped working, too. The stabilisers have ceased functioning and the poles have shifted. Even though the moon keeps that same side turned towards us, for some time it has been unsteady on its own axis, on occasion showing us part of its reverse side which were once invisible to observers on the Earth--for example, the Selenites themselves if they made expeditions here. Time has taken its toll. Both body and rigging have disintegrated to some extent; some seams on the inner shell evidently diverged. We assume that the long (up to 940 miles) chains of small craters formerly ascribed to volcanic activity were brought about by eruptions of gas through cracks appearing in the armour plating as a result of accidents. No doubt one of the most splendid features of the lunarscape--a straight "wall" nearly 500 yards high and over 60 miles long--formed as a result of one of the armour plates bending under the impact of celestial torpedoes and raising one of its straight, even edges. The Moon's population presumeably took the necessary steps to remedy the effects of meteorite bombardment, for example, patching up rents in the outer shield covering the inner shell. For such purposes a substance from the lunar core was probably used, a kind a cement being made from it. After processing this would be piped to the surface sites where it was required. Not long ago astronomers discovered variations in the gravitational fields near the large "seas". We believe the reason to be this: the Moon's dry seas are in fact areas from which the protective coating was torn from the armour cladding. To make good the damage to these vast tracts, the installation producing the repair substance would have had to be brought immediately beneath the site so that it could flood the area with "cement". The resulting flat stretches are what look like seas to the terrestrial observer. The stocks of materials and machinery for doing this are no doubt still where they were, and are sufficiently massive to give rise to these gravitational anomalies. What is the Moon today? Is it a colossal necropolis, a "city of the dead," where some form of life became extinct? Is it a kind cosmic Flying Dutchman? A craft abandoned by its crew and controlled automatically? We do not know and we shall not try to guess. We have put forward in this article only a few of the reasons--unfortunately the evidence is so far only circumstantial--for our hypothesis, which at first glance may appear to be crazy. A similar "crazy" idea was put forward in 1959 by Professor Iosif Shklovsky, an eminent scientist, in relation to the "moons" circling around Mars. After carefully weighing up the evidence he concludes that they are both hollow and therefore artificial satellites. We feel that the questions we have raised in connection with our Moon provide sufficient food for serious thought on the matter; the result may be the illumination of our many lunar riddles. Now, of course, we have to wait for direct evidence to support our idea. Or refute it. Probably there will not be long to wait. Blog's commentary on the above. The two Russian Academics wrote that the presence of the Moon here is all about a mysterious “Alien experiment”. John Lear also talks about an “experiment”. As G.H.REES and this blog has proved this has nothing to do with a so called experiment. The global cancerous Dragonian scheme is just a miserable piratical invasion to our solar system for the destruction of its planets in order to steal the valuable metals and raw materials of the system's planets by using in most cases the planetary settlers as "Lord's servants" (of the miserable lizard "Lord" Pseudo-God Sin-Sion-Zion - Lunar Governor) used as servants-slaves for the mining of the raw materials after the genocide of the settlers who belong to the hostile constellations (aka White Andromedian and Black Sirian Race). A Pseudo-God, namely a psychopath cancerous megalomaniac being, posing as the Supreme Being-Creator(!!!) who also threatens in the Sinozionist Old Testament that he will remove the Moon from Earth's orbit, for vengeance to the unbelievers(!!!) after he steals all the Earth’s Gold and raw materials! As this blog has repeatedly analyzed the non-existent Galactic Federation of Light is actually an operation based on channeling aka on demonic possesion - catalepsy of the medium body and the transmission of messages to the Earthlings from beings-spirits-demons of higher dimensions of matter rarification. The inner 7( planets of our solar system are under the occupation of the Lunar Commander and is essentially the inner defensive perimeter of the Dragonians and of their allies the Cronian apostates in all the dimensions up to the 3rd higher dimension occupied by the Dragonian Lunar "Lord". See for example the icon of the crucified Orpheus which have on top of it the crescent moon with the 7 "stars" (7 planets - The Dragonian "Cage"). So, any communication of Earthlings with beings of the upper 2nd dimension is essentially Dragonian commands and Dragonian Agendas passed to the Earthlings who act as telecontrolled Zombies Role-Players. One of the Dragonian primary devious agendas prior to 2012 is to use their collusion Demons to role-play the returning Dodecatheon of Zeus in order to instigate a provocative World War III of the Western NATO armies against the Dragonian China with primary provocateur Greece in order for the counterattacking China to genocide everyone with genocide priority victim the planetary Hellenism. Concerning Alex Collier the blog believes he is a usual disinformation agent CIA opperative (mind controlled victim probably) spreading mixed truths with lies. He speaks about the Andromedians and the Dragonians but he conceals (and we think on purpose) the true origin of the Moon, aka the Draco Constellation. He also conceals the connection of the Chinese with the Draco. Aka the Nation of the Dragon. He also conceals the connection of the Andromedians with Iones(Solar Logos People) or Hellenes or the Pelasgian White Race. Btw, Collier begun his revalations in the beginnings of the 90's while G.H.REES was founded in 1947 and begun its public documents action in 1974. There are strange moons indeed in our solar system that propably served sometime the role of a War Planet or a Giagantic Hybrid Planetary Ship-Base. One prime example is the Satturnian Moon Iapetos having several anomalies in its surface. Concerning the little Moons Phobos and Deimos in mito-logy these were chariots of the War God Ares or Mars. You can make the ascociation "chariot of God" e.g. "starship-vehicle of the fast moving Being", as in the archetype Hellenic etymology the word "God" means a Being who flies or runs in space with extreme speeds, by using technology, aka the "chariots of the Gods". As for the accusation of "always destruction and killing" this has nothing to do with reality as G.H.REES main purpose is to foil the global catastrophe of the "Armageddon" or "World War III". By doing that they use several ..."war mongering" style tactics of mental war. Besides that, as the great Heracletos have said: "War is the father of Everything". Of course he meant the continuous "War" between Opposite Ideas or Opposite Concepts. But he also said: "The opposites are the same". We further add: "The Lunar Opposites are the same". The above are not an official thesis of G.H.REES but the opinions of the blog based on existing G.H.REES documents and our indepedent research. 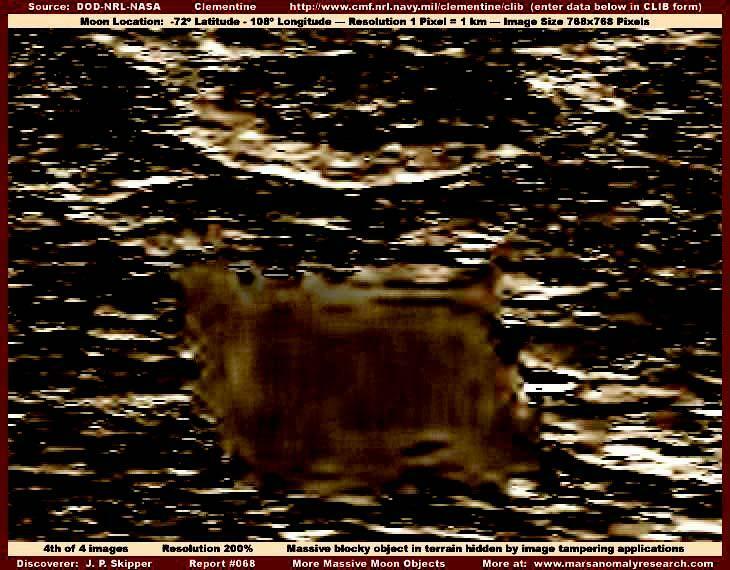 Will India reveal the existence of the UFO bases in the moon? The spacecraft, was launched on October 22, India is on its way to moon. But there is a major debate in process within Indian Government and Indian Space Research Organization. The debate is on telling the truth to the world about the existence of the UFO bases in the moon. Interesting dates ... In 1976 I was privy to a document sent to major nations from R as a direct translation of IC of the time. Stating in principle we were not to go to far side of Moon ever... and that moon landings were to be reviewed by ..... before approval. But it was a very eventful time for all. a little piece of proof aligned with the fore mentioned? if propaganda, why would they choose a draco created humanoid as first evidence of a biologic on the moon? serves what purpose? are we to believe that the moon is the habitat of asian featured (draco gm) humaniods? Mmm the imagery I saw was structures, cities etc on other side. Ah a tangled web. And the R's had very good cameras for the time... no pixelation. Or Photoshop for that matter, they were black and white but set was similar to arial intel from WWII imagery. Even under the magnifier very clear no mistaking what was there. most of the draco impostor craft are holographic, the light show promised by religions, coordinated via members of Proj. Bl.Be. Agree T... This is an image from Clementine, just one of many found on Joe Skipper's site. The evidence suggests 'banding' around the Moon, from North pole to South pole. Worth mentioning is the fact that the CLIB browser (Clementine Lunar Image Browser) has been 'updated' from vs1.5 to vs2... and in doing so, all of the original 'artificiality' evidence has disappeared from the data, all that remains is what can be found on older sites like Joe's. Your infor and perspective is most refreshing to me T and always appreciated. Nice to hear you are old school, when your word meant something.... a very rare quality in these troubled times.